Whatever your age or your time-restrictions, Holly’s sustainable, holistic approach will help you find a balance in life, step-by-step images and easy-to-follow exercise routines will make it as easy as possible to feel happy, healthy, strong and active. Forget about crash dieting or scrambling to get a bikini body, Active is all about setting realistic and achievable goals. Whether you choose to exercise in your nearest gym, your local park, or even in your own living room, this book will help you get the most out of training anywhere. Use the tools and techniques to craft a regime that is not boring, repetitive, monotonous, but instead varied and diverse. 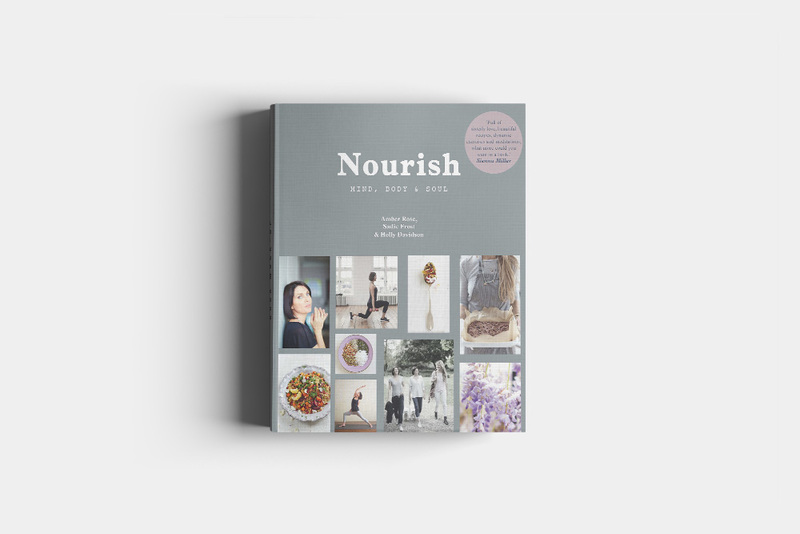 Holly Davidson, Sadie Frost and Amber Rose are three friends who've come together to write Nourish as a guide about their health-promoting learnings that have helped them alleviate some of the stressors we all experience. Like most of us, all three have hectic, busy, working lives. They have developed successful routines, methods and recipes to promote calmness and overall well-being. They share their tips - Sadie, as an actor, producer and mother; Holly as a personal trainer and lifestyle coach; and Amber as a chef, doula, mother and author - to help you reduce some of the stress we all experience from time to time.